Pregnancy is a transformative time in our bodies and becoming a parent transforms our lives. A prenatal yoga practice is a wonderful opportunity to mindfully create space and time for welcoming new life into the world. In this class, we will practice ways to breathe and move our bodies that are safe and effective for women at all stages of pregnancy. Each class will open with a check-in to build community and find out what is going on in our bodies week by week. The kriyas (movements with breath) and asanas (postures) we will practice alleviate some of the common ailments and discomforts that come along with our changing bodies and will ultimately help to prepare us for the birth of our baby. 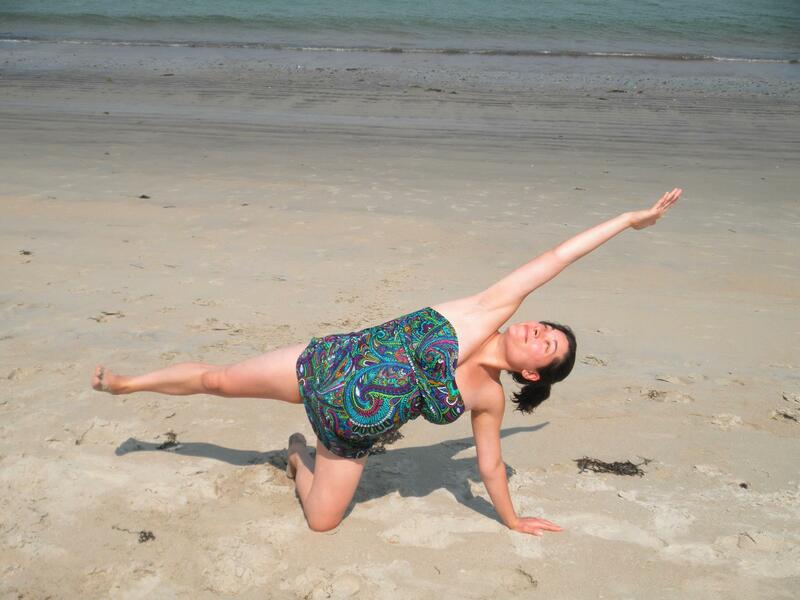 Angela is a certified Pranakriya Yoga and Prenatal Yoga teacher and mother of two littles. Yoga has been her cornerstone throughout many life transitions especially the transformative childbearing years. She has a Bachelor’s degree in Therapeutic Recreation and loves the therapeutic aspects of yoga. Compassionate and nurturing, she enjoys weaving some restorative elements into each class. Her personal practice constantly informs her teaching. She has trained with and been inspired by many teachers including Yoganand Michael Carroll, Barrett Lauck Reinhorn, Steven Valloney, Kathy Bolte and others. Angela lives and teaches in Riverside and plans to continue her commitment to studying more yoga and deepening her practice to share with others. February Series running **Fridays 10-11:15am. **Must have 3 students registered to run the Mamasana Prenatal/Postnatal series.